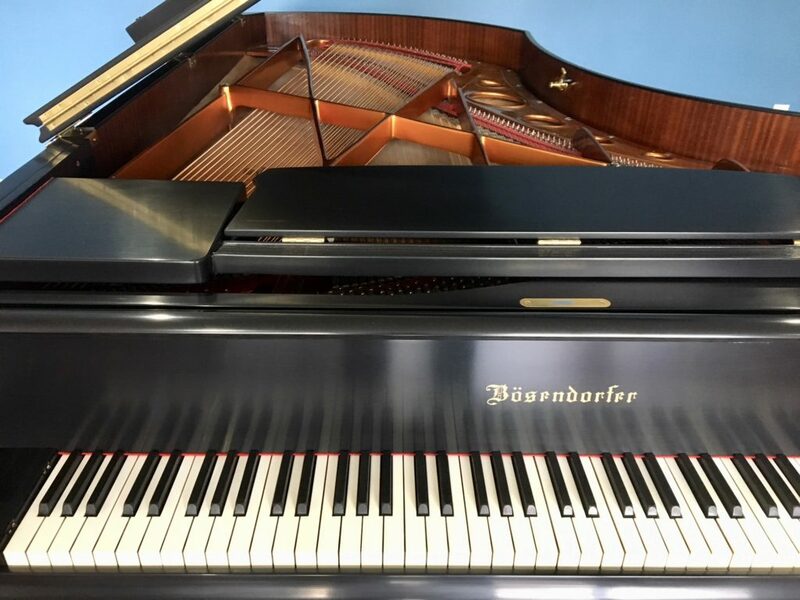 Gazing at the extra bass keys of this Bösendorfer Grand the pianist immediately realizes that this instrument is far from ordinary. 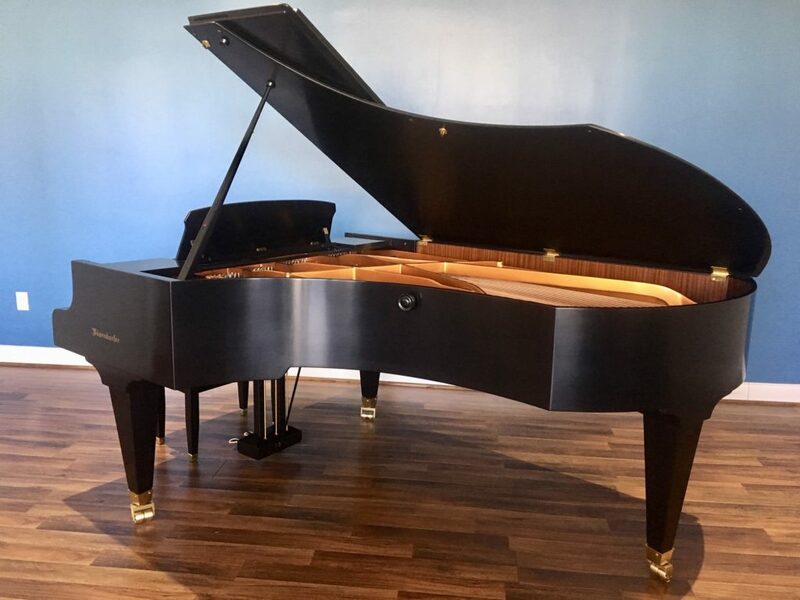 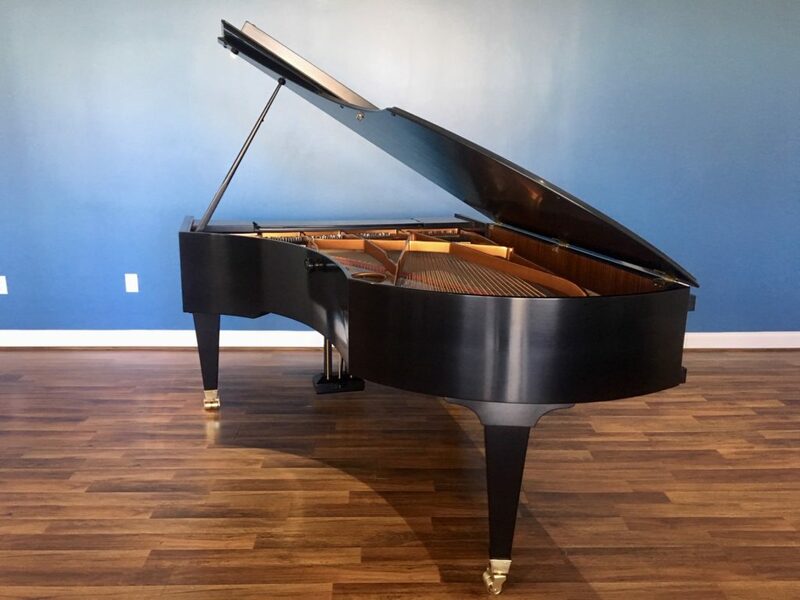 This Grand Piano – like the bigger brother Imperial 290 – has been crafted dedicating to the tradition of Viennese piano building. 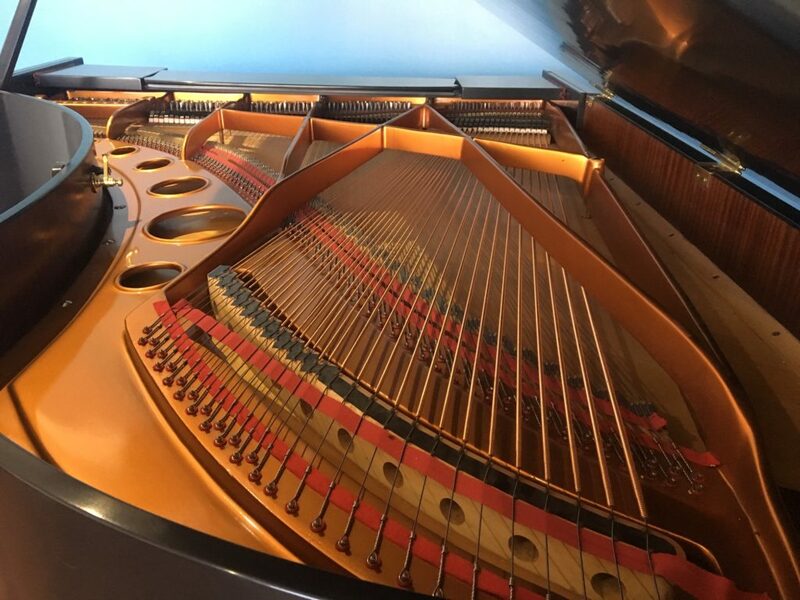 With its unique design and size this piano delights by an exceptional multitude of colors similar to an orchestra. 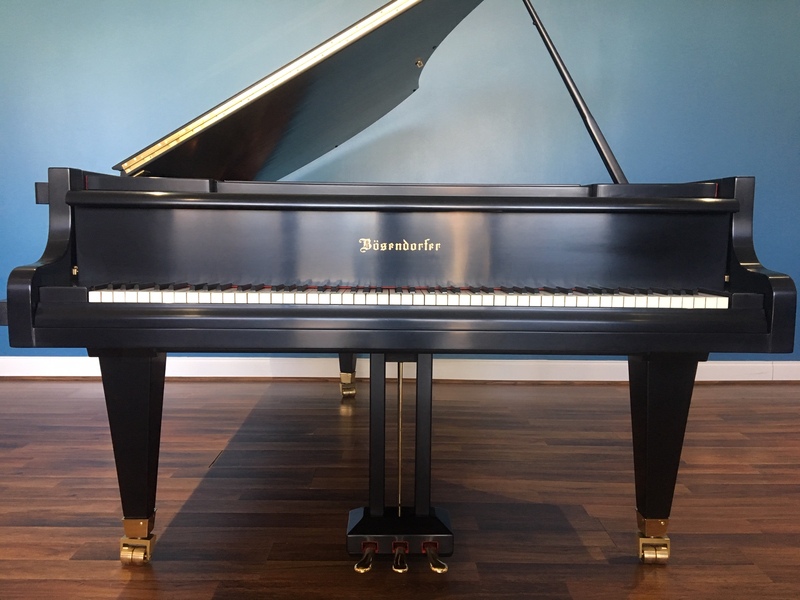 Delicately fragile pianissimo to brilliant fortissimo, this Bösendorfer Grand sways the audience – down to the Subcontra F. These additional bass notes do not only enrich the tonal volume of the instrument, but subsequently paint additional sound colors and open up an orchestral sound spectrum. 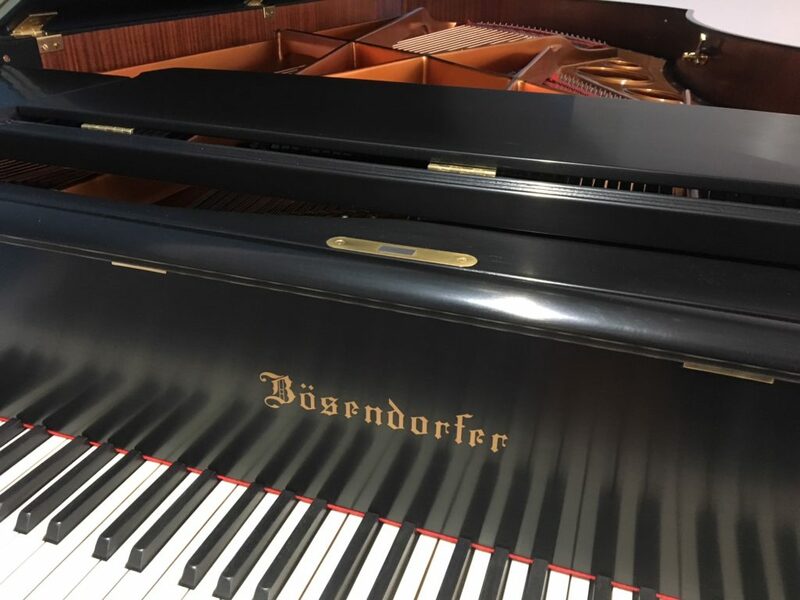 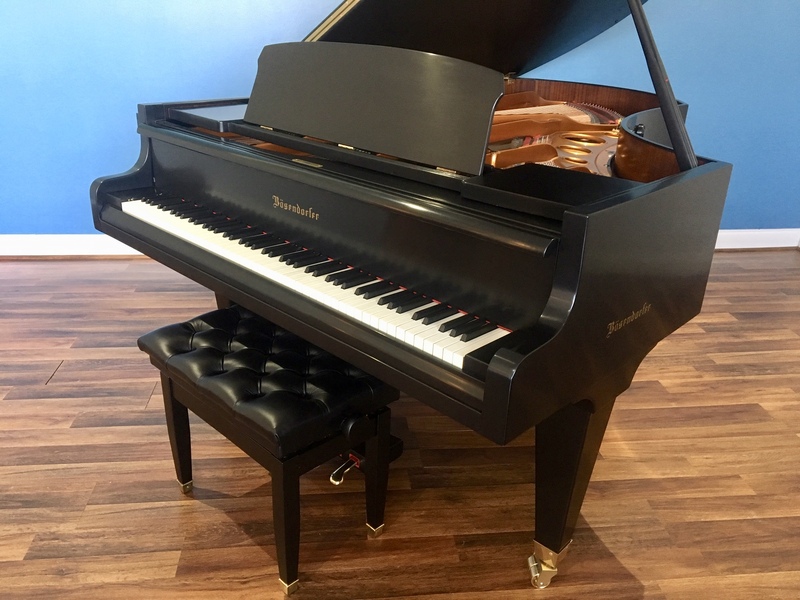 This unique sonic presence in all registers is the sound basis of the popularity of the Bösendorfer 225 as chamber and solo instrument. 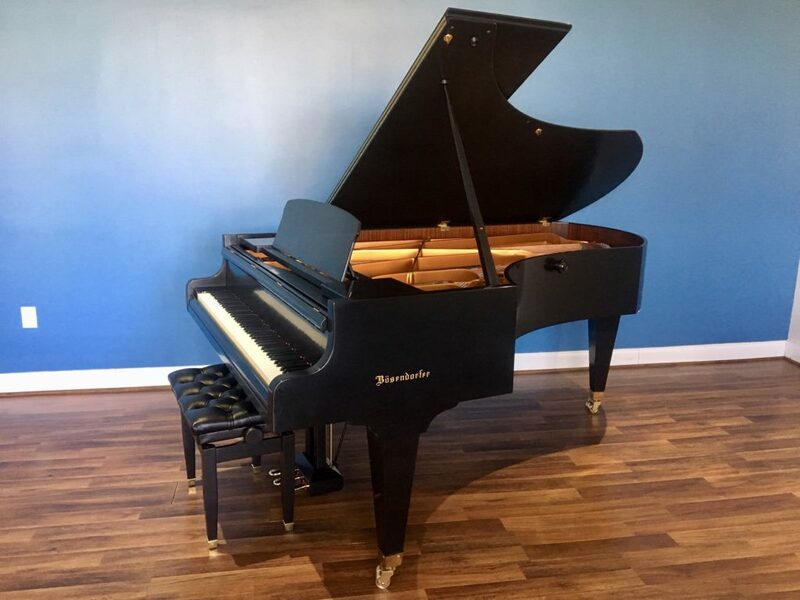 A presence which leaves no audience unmoved. About: All Bösendorfer components. Refinished Case, Ivory Keys, Newer Strings, Leather Artist Bench.